The move has now triggered a divide in the state cabinet and has also resulted in protests across Karnataka, with both the ruling Congress and the opposition BJP staging protests. PANAJI: Dismissing Chief Minister Manohar Parrikar's letter to Karnataka BJP leader BS Yeddyurappa as a "political stunt", Goa Water Resources Minister Vinod Palienkar on Wednesday said that his state will not share "a drop of water" of the Mahadayi river with the neighbouring state. "As Water Resources Minister I have made my stand clear. Whatever he (Parrikar) has written (in the letter), he has not sent me. You ask him. If he has sent it to Karnataka, I can only comment, that it must be a political stunt, therefore he sent the letter. I do not want to say anything more about that," Palienkar said. Last week, after a meeting with BJP President Amit Shah, Parrikar in a letter to Yeddyurappa, had agreed "on humanitarian grounds" to consider Karnataka's demand for drinking water in its northern parts, even as the matter is being heard by a Tribunal. "Our people are desperate for water, if our people do not get proper water supply, then how can we give them water. Therefore I believe that Mahadayi is our lifeline. We will not do any compromise and not give a drop of water to Karnataka," said Palienkar. The move has now triggered a divide in the state cabinet and has also resulted in protests across Karnataka, with both the ruling Congress and the opposition BJP staging protests. Farmers groups also staged protests accusing parties of politicising the sensitive issue. 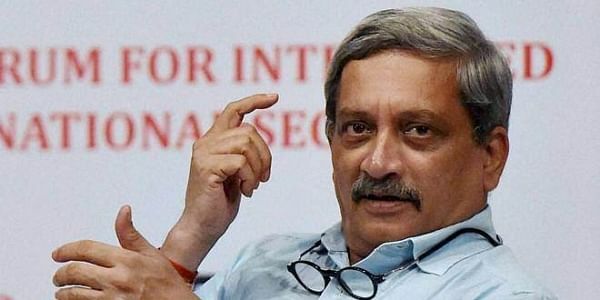 In his own cabinet, Parrikar now faces opposition, with Palienkar, who belongs to regional party Goa Forward, vehemently opposing Parrikar's claim in the letter to Yeddyurappa. Another ruling ally, the Maharashtrawadi Gomantak Party has also demanded a status quo on the dispute with Karnataka. Yeddyurappa, a power Lingayat leader from north Karnataka, is expected to lead the party's campaign in the region, when the state goes to poll next year. BJP sources said, that the party was looking to leverage the Mahadayi issue in north Karnataka constituencies, especially in districts like Belgaum, Bagalkot, etc. Goa and Karnataka are currently battling out a dispute over the latter's controversial Kalsa-Bhandura dam project across the waters of the Mahadayi river at a central tribunal. Mahadayi, also known as the Mandovi river, is known as a lifeline in the northern Karnataka where it originates, passes through Maharashtra briefly and meets the Arabian Sea in Panaji in Goa. While the river traverses 28.8 km in Karnataka, it runs through a length of 81.2 km in Goa. Karnataka plans to construct seven dams on the river, aimed at diverting 7.56 TMC water into its water-starved Malaprabha basin in north Karnataka.